Microsoft seems -- finally -- to have got the hang of its six monthly update schedule for Windows 10. 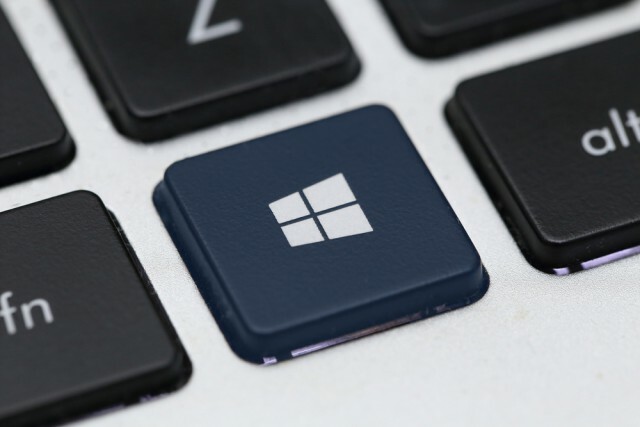 Not only has it pushed out the April 2018 Update to over 50 percent of Windows 10 users in a very short space of time, but the next feature update, codenamed Redstone 5, is shaping up very nicely already. The big new feature in this next major update is Sets, and Build 17682 introduce some improvements to it based on Insider feedback. Set’s new tab page has been updated to make it obvious that you can launch apps, with favorite choices listed under Frequent Destinations. In addition, this build improves wireless projection, and makes Remote Server Administration Tools available on demand. For this latter addition you just need to go to "Manage optional features" in Settings and click "Add a feature" to view all the available RSAT components. 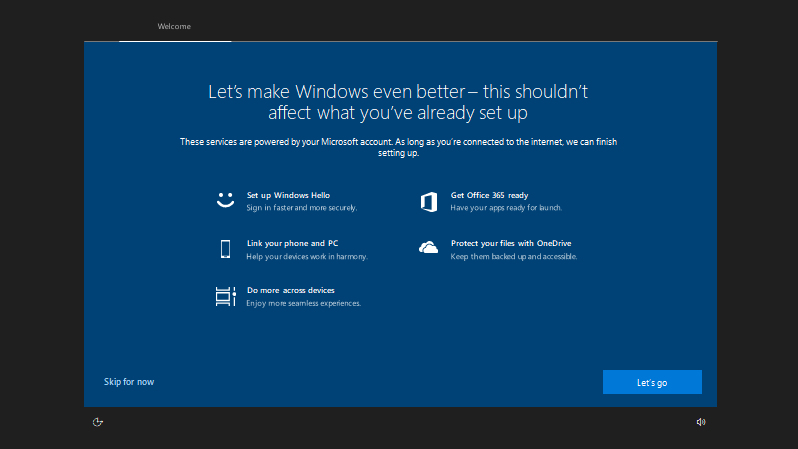 There’s also a new post-upgrade setup screen which lets you make sure you’re still running Windows 10 how you want to be. Fixed the issue for Windows Insider Program for Business folks where PCs using AAD accounts to receive new flights (via Settings > Update & Security > Windows Insider Program) where they would see a "Fix me" option presented and couldn’t to receive the latest flights. 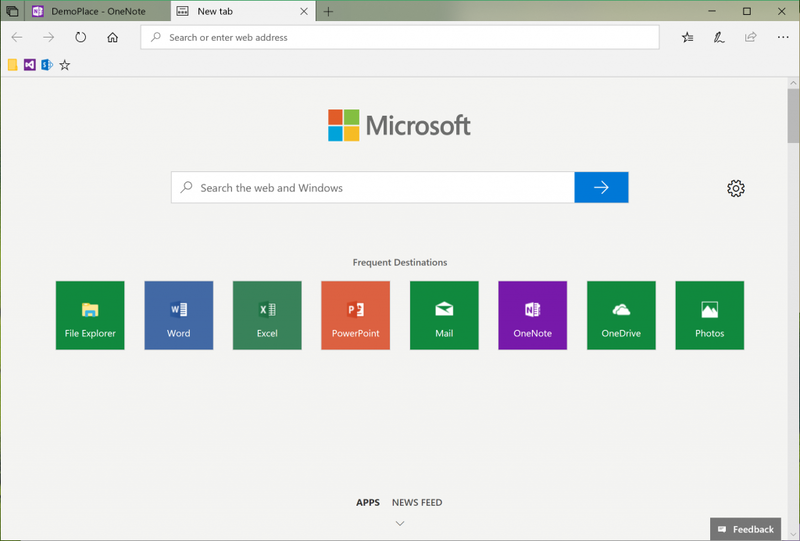 Microsoft is experimenting with adding tips and suggestions to the Settings homepage. If you see one of these, you can choose to opt out by clicking the "…" in the top corner. Fixed an issue resulting in the "Add a feature" page in Settings not finding any features in the last few builds. After updating to this build, Mixed Reality Portal will reinstall the Mixed Reality Software and environment settings will not be preserved. If you need your Mixed Reality home experience to persist, Microsoft recommends skipping this build until these issues are fixed. Some Insiders may experience some bugchecks (GSOD) on this build with "Critical Process Died" error. If you have a Surface Studio, it will fail to update to this build with a "Your PC hardware is not supported on this version of Windows 10" error.